This gift box comes with everything a young girl needs to accessorize like royalty - 3 hair clips, a necklace, a bracelet, 6 hair ponies and 4 elastics. The jewelry, hair clips and hair ponies even feature some of everyone's favorite princesses - Ariel, Belle, Cinderella, Jasmine and Rapunzel! This accessory set is a perfect gift idea for young girls and Disney Princess fans. 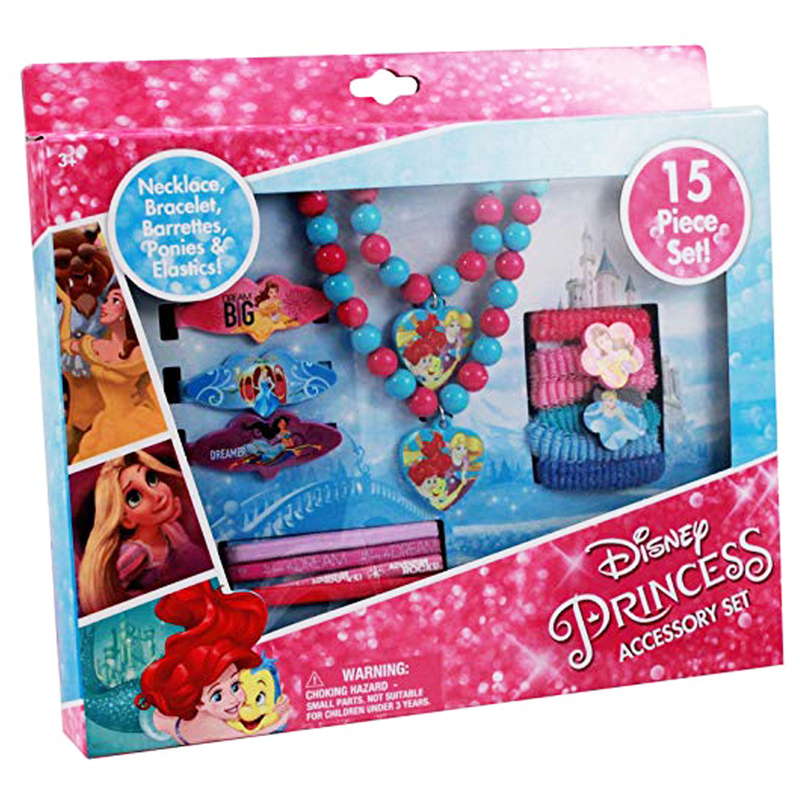 DISNEY PRINCESS - This kids box set has all essentials to dress up with Princess Character jewelry for pretend play! 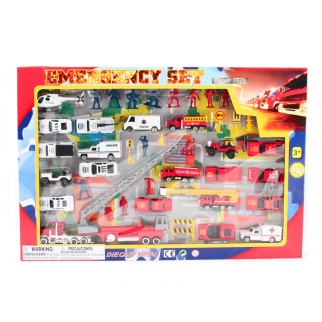 INCLUDES - In this set you will find a Necklace, Bracelet, 3 Barrettes, 6 Hair Ponies, and 4 Elastic Hair Ties. 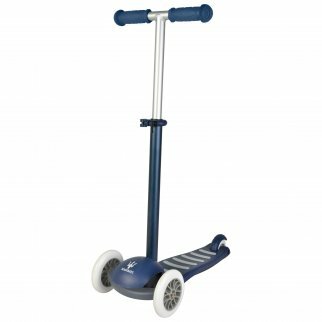 TychoTyke Kids Ride On Licensed Maserati Scooter Adjustable Height Easy Brake $ 119.99	• 20% off! 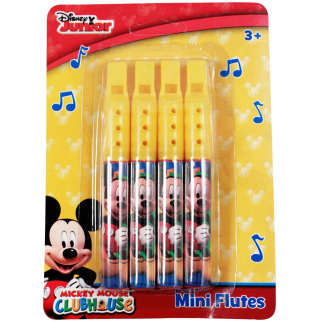 Disney Officially Licensed Mickey Mouse Mini Flute 4 Pack Music Instrument Toy $ 5.99	• 45% off!